Agreeing to pay a lesser amount than you owe to a creditor, or debt settlement, is strongly discouraged because it has a significant effect on your credit score. What’s more, the additional fees that you pay as part of the settlement may actually offset what you thought you have saved from the reduced amount. Debt settlement should be your last option, not a decision you must take head on. There are other less radical options to choose from, and you just have to have a clear mindset on what is best for you. 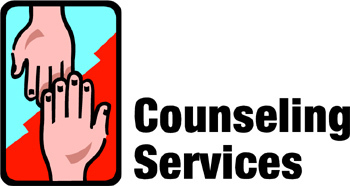 It is important to undergo credit counseling as soon as possible before everything goes out of control. There are numerous warning signs that may lead to a financial crash if you let it. This includes an income is that is too low to keep up with ongoing expenses and debt. One of the possible options that may sway you from debt settlement is debt management. Early counselling offers alternative ways to manage financial conflicts and may reveal the options that are available for you. Whether you are preparing for a debt consolidation loan or trying to fix your budget for a band-aid or long-term solution, an advice from a credit counselor is important. However, in cases in which there is no available way but debt settlement, the good news about is that companies are more open to negotiation nowadays. They may even come up with something that will be mutually beneficial for both parties. These available options will result in a more manageable scheme and less worries on your part because you wouldn’t have to think about the debt that went out of control. An account is usually charged off when an account has no movement in terms of payment for more than six months. The term charged-off account is used by lenders to reflect that the chance that the account will be repaid is low. However, this does not mean you are already debt-free. The mindset that the creditor will eventually go away is a big no-no. This is not going to happen, and it will just promote further damage to your credit standing. In such cases, being proactive will actually work better for you. There are cases that in which creditors will be more than willing to discuss options, including debt settlement, before your account becomes more delinquent because it will be perceived as a loss risk. However, prompt action like creating a debt management plan will allow you to pay in full and ultimately saves your credit score for further damage. Whenever a settlement has a forgiveness of debt that is higher than six hundred dollars, it will be a taxable event. For example, there has been an agreement of five thousand dollars to settle a debt worth ten thousand dollars, the paid five thousand will be considered taxable. Even if there was a mutual agreement, the settled amount is still listed on the credit report. It will become a record and note for future potential creditors that you had a history of loaned amount of money, but you failed to pay it back. Debt settlement is not a walk in the park. Before the debt settlement is finalized, the creditors will require you to provide documents to support the validity of your income, your existing debts, and your assets. It will require a considerable amount of proof that you really cannot do anything further with your dues. Creditors must be convinced that you are doing this not because you just want to save a considerable amount of money, but because there is nothing else that can be done from your side. Even if this serves as the last option, not everyone gets an approval as some people really just want to get away with it. Once the debt settlement is in place, make sure that you can adhere to reasonable and realistic payment schemes that you can actually manage. Do not set amounts you cannot really achieve because it may lead to bigger problems. Direct negotiations with creditors may result in a realistic plan that can be completed successfully. Remember that if this settlement fails, the account will be sent to a collections agency. Once you pay a debt settlement, the activity will reflect on your credit report. However, there are several creditors that do not report payments to credit bureaus even if it is required by the law, thus leaving the credit report of consumers classified as delinquent in an indefinite status. Make sure that everything is organized and that such details as ensuring that the creditor will initiate the cancellation of calls and debt collection letters are included in your payment plan.